Today, I'm reviewing Warner Archive's new DVD re-release of the Flamingo Road (1949), starring Joan Crawford. The good folks at Warner Archive are bringing six classic Joan Crawford movies back into print. Each Friday in March and the first Friday in April, I'll have a review of one of these movies. Today's selection is the film noir, Flamingo Road (1949). Warner Archive re-released five films of Crawford's great rival, Bette Davis, in September. You can check out my series on those films here. The Stars: Joan Crawford; Zachary Scott; Sydney Greenstreet; David Brian; Gladys George, and Virginia Huston. Source Material: A 1946 play by husband and wife team, Robert and Sally Wilder. The Plot: Lane Bellamy (Crawford) is a carnival dancer who gets stranded in the small Southern town of Boldon City. To make ends meet, she gets a job as a waitress with the help of deputy sheriff, Fielding Carlisle (Zachary Scott). 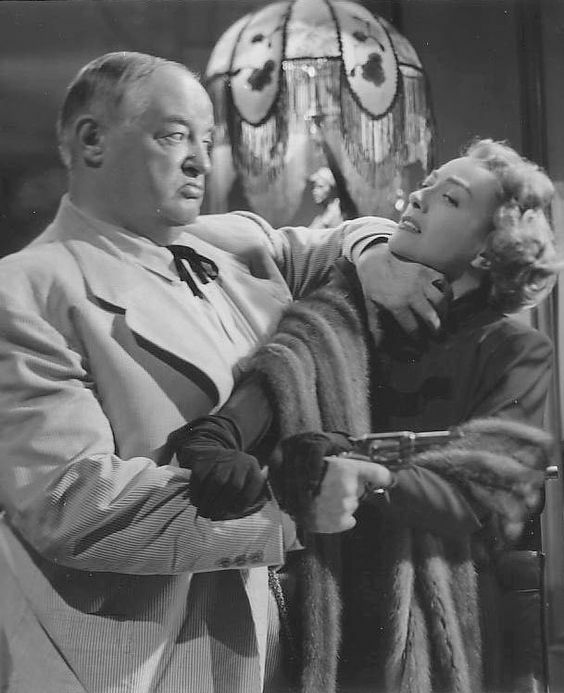 Lane and Fielding begin a tentative romance, but the powerful sheriff, Titus Semple (Sydney Greenstreet), has big plans for Fielding that don't include marriage to a former burlesque dancer, so he has Lane thrown in jail on false charges. When Lane gets out of jail, she doesn't leave Boldon City as Titus expected. Instead, with the help of powerful businessman Dan Reynolds (David Brian), she takes on Titus and his corrupt political cronies. 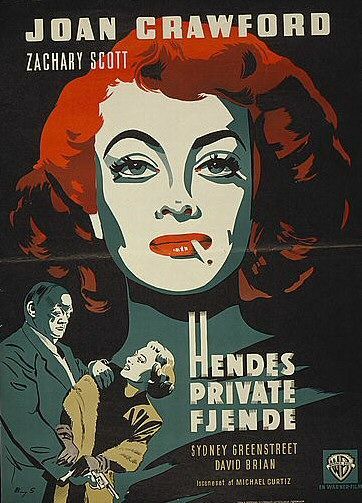 Backstory: The Wilders' play had been kicking around Warner Bros. for a few years -- it was originally planned for Ann Sheridan, but she rejected it -- before studio chief Jack Warner decided that it would be the perfect project to reunite director Curtiz and stars Crawford and Scott who worked together so well in the Academy Award-winning noir Mildred Pierce (1945). Joan's career at the time of Flamingo Road: After leaving MGM for Warner's in the mid-1940s, Crawford had become one of the studio's most reliable stars with a string of hits like Mildred Pierce (1945), Humoresque (1946), and Possessed (1947). 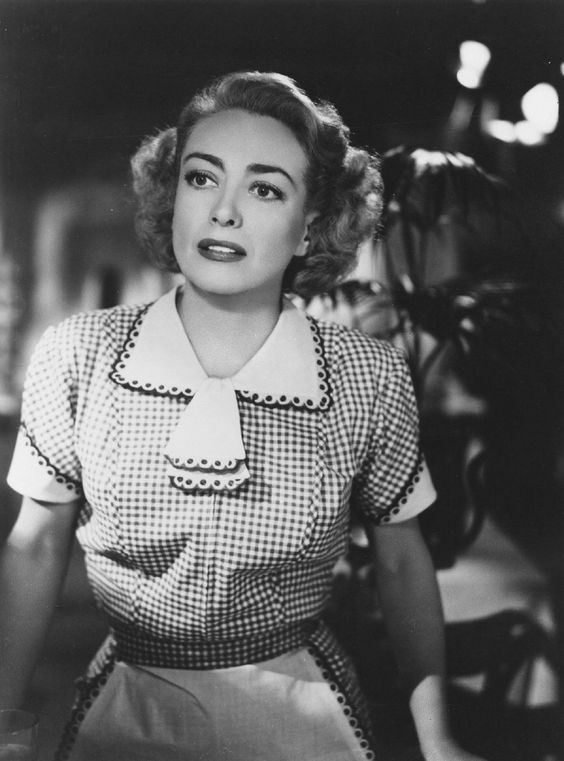 By 1949, Crawford wanted to branch out and appear in more challenging and age-appropriate roles (Joan's birth date is disputed, but she was around 45 years old in 1949). She longed to play an inspirational schoolteacher in a film called Miss O'Brien, but Warner insisted that she appear as Lane in Flamingo Road, which was a retread of her many working woman turned millionaire's wife roles. Joan's men: No Crawford movie is complete without at least two men in the cast hopelessly in love with her. Here's the rundown of her leading gents in Flamingo Road. Dan Reynolds: Played by Brian, this wealthy businessman takes a shine to Lane as soon as he gets a sight of her serving drinks at Lute Mae's tavern. After their whirlwind marriage and courtship, the pair become Boldon City's leading power couple complete with a million-dollar home on Flamingo Road. Joan's clothes: Crawford spends the first half of the movie in a revealing burlesque outfit and/or waitress uniform, but once she marries millionaire Reynolds she takes power-dressing to the next level. 1. After her marriage to Reynolds, Lane arrives in a swanky nightclub dressed to kill in a fur stole and sleek dress with a distinctive V-shaped neckline that is accented with a thick gold choker. 2. Crawford performs her domestic duties around her Flamingo Road home in an Elizabethan-style black dress with white-ruffed collar that makes her look like a forties version of Mary Queen of Scots. 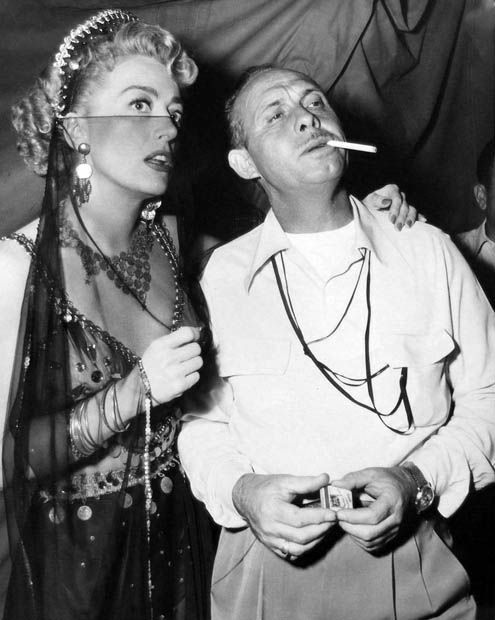 Joan Crawford and assistant camerman Ellsworth Fredericks on the set of Flamingo Road (1949). Best scene: A seersucker-suited Greenstreet and fur-clad Crawford engage in a guns-blazing battle for the future of Boldon City. Best Line: "He'd steal the gold off the capital dome." -- Dan Reynold's assessment of the avaricious Titus Semple. Fun Fact: Flamingo Road was remade as an eighties TV series that turned Morgan Fairchild and Mark Harmon into small-screen stars. The Critics: Flamingo Road has a 73 percent fresh audience rating on Rotten Tomatoes, and Leonard Maltin writes that "Crawford is excellent" in a three star review for his Classic Movie Guide. The Bottom Line: Viewed today, Flamingo Road isn't top-tier Curtiz and Crawford, but it's still an entertaining noir that is powered by Curtiz's energetic camerawork, Crawford's sympathetic lead performance, and the imposing menace of a never-better Greenstreet. Availability: Flamingo Road will air at 6:15 p.m. June 22 on TCM. It is available on DVD from Warner Archive (link below) and on video on demand. Check out my review of Crawford's melodrama, A Woman's Face (1941).